Spring Equinox has arrived and with it heat and storms. Outside there is so much activity and colour. How could one not be inspired? As a result these characters emerged, children of nature offering their blossoms. 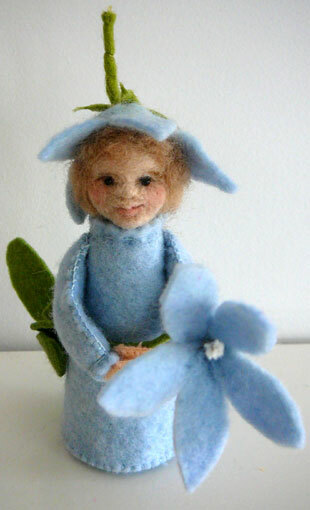 These little dolls have needlefelted faces. Obviously the bluebell is a reminder of a recent trip to Canberra as it is the official flower of the Capital. So pretty…can you believe I lived in Canberra and had no idea that the Bluebell is the official flower!